Broke Compass could be sending YOU across the Appalachian Trail as an ambassador for the app. The app, which is a 1789 venture, is designed as a way for travelers to find or create events that connects them with other travelers. For example, if you're alone in a new city and really want to go to the art museum, you can navigate Broke Compass's interactive map to see if another user has created an event at the museum and is looking for others to go with. If you can't find an event, you can create one yourself and invite others to join you on your adventures. 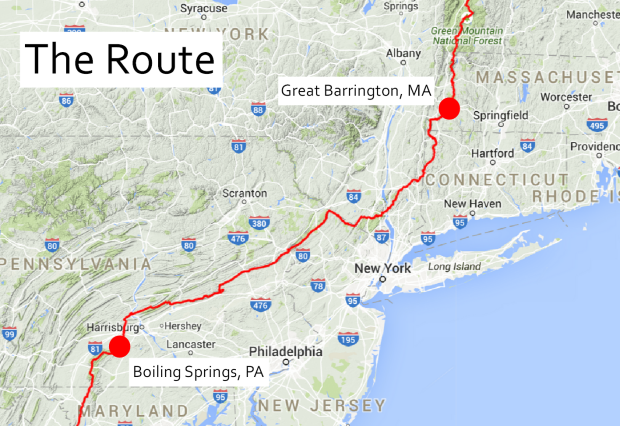 In order to promote the app, the Broke Compass team is sending one traveler on a 399 mile journey across the Appalachian Trail, from Great Barrington, Massachusetts to Boiling Springs, Pennsylvania. This individual will serve as a representative for Broke Compass and will use the app during his or her adventure to connect with other travelers. Anyone is able to apply. Applicants should be free for four weeks in July-August (exact dates are flexible) and physically fit enough to hike every day for four weeks. Send applications to brokecompassinfo@gmail.com. For more details about Broke Compass, full requirements for becoming the app's ambassador, and directions to apply, click here.